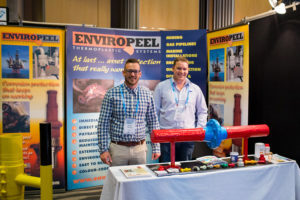 Recently Muir Hamilton, IMG Machinery & Envirocoatings Manager, attended the Australasian Corrosion Association Conference along with Chris Harrey from A&E Systems to market Enviropeel and Alocit corrosion prevention systems. Enviropeel is a spray on thermoplastic system that can be applied at 170 degrees Celsius which fully seals the substrate. 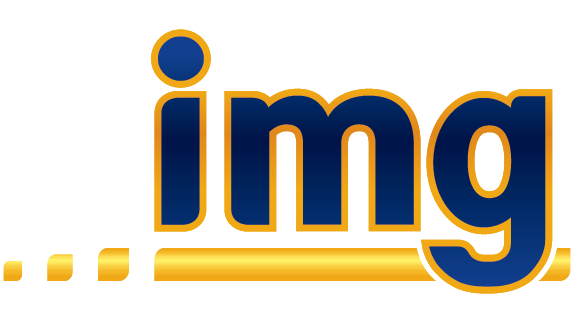 It is applied to prevent further corrosion on the substrate due to an inhibitor impregnated in the thermoplastic. Alocit is a range of coatings with outstanding adhesive and protective qualities. Its long life and ability to succeed in difficult circumstances has made it the coating of choice for protecting challenging substrates such as pipes, concrete and steel and can be applied in dry, oily or wet conditions, including deep sea. The 3 day conference at SkyCity gave us a great opportunity to explain our products to many engineers and organisations with corrosion issues.